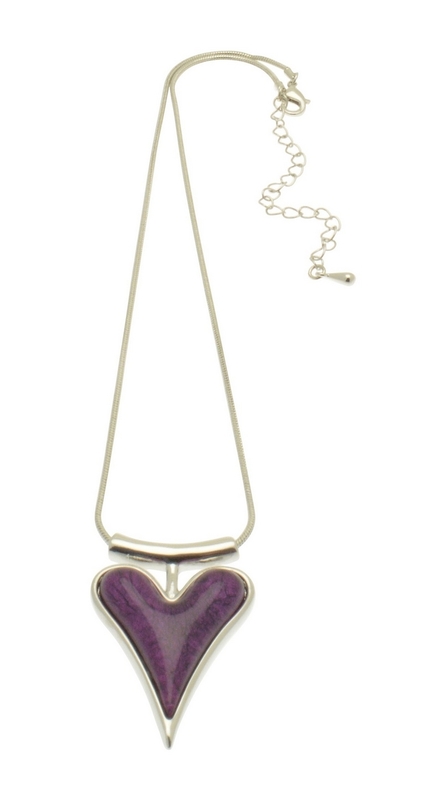 This pretty, heart necklace is enhanced by the curved silver bar hanger, which transforms it from a classic pendant to a stylish necklace for every day and occasion wear. Available in luscious red, amethyst purple and cobalt blue. 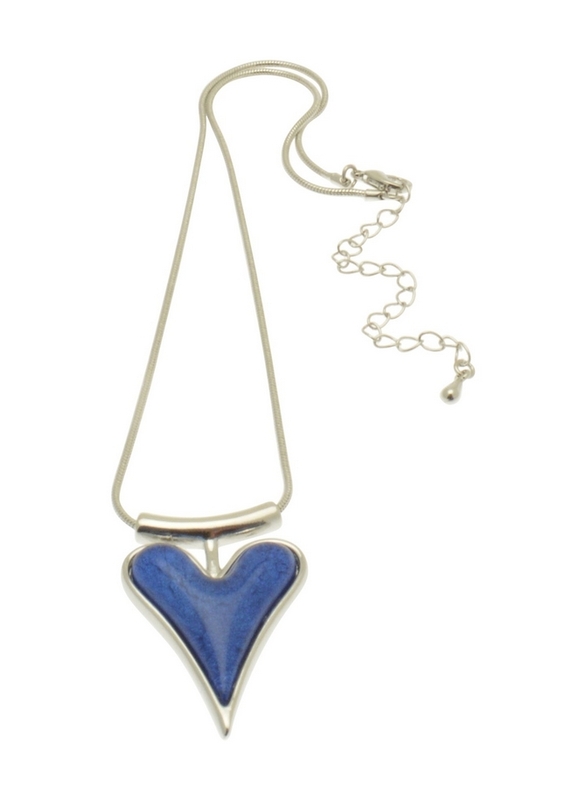 The necklace measures approx 41cm / 16" long and fastens with a lobster clasp and extension chain. 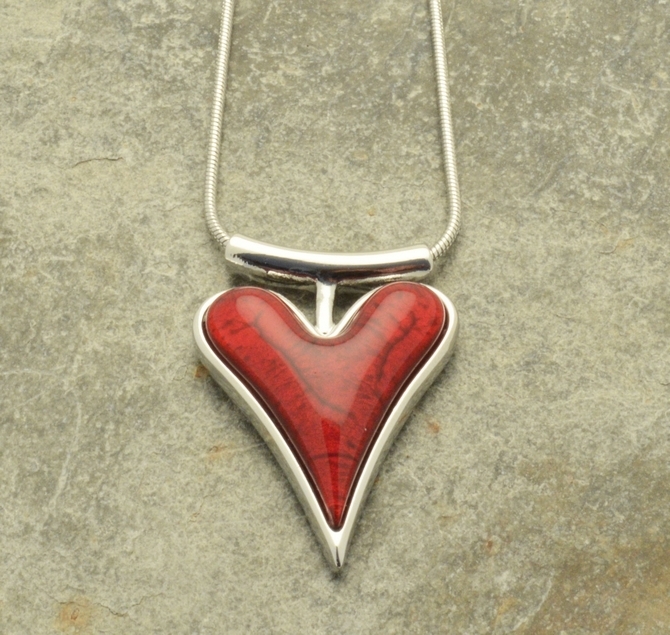 The pendant measures approx 3.5cm long by 2.8cm wide. Please state which colour you would like in the special requirements box. Please note the red version has sold out.